CARACAS, Feb. 14 (Xinhua/ Sun) -- Venezuelan President Nicolas Maduro Friday called on the public to join a peace march Saturday in the capital Caracas to counter recent political violence that killed three. In his twitter account, Maduro called on everyone out into the streets on Saturday morning to show their support for peace. "Fascism (thrives) on sowing hatred and intolerance; let's show them where the strength and love of the majority lie in this country," Maduro wrote as part of his Valentine's Day message. "Congratulations to everyone on the Day of Love and Friendship. Let's continue together to defeat hate and experience utmost happiness in our country," he added. 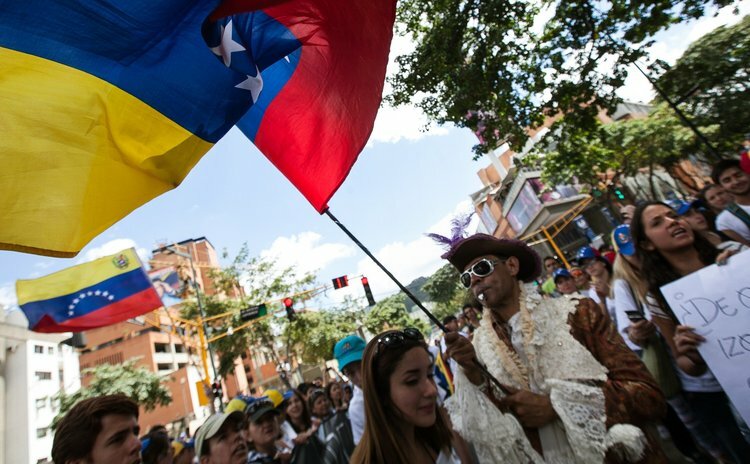 The march is set to begin at 9 a.m. at Plaza Venezuela, and from there makes its way to Bolivar Avenue. On Thursday, thousands of supporters of the ruling socialist party took to the streets to demand the country's attorney-general take legal action against the anti-government protesters who fueled the violence that killed three, injured 66, and left the Public Prosecutor's Office ransacked.